The Ranger is the solution for automatic disbursement of pre-chopped fibers into slurry pavers. Reliable and durable – known as being “bulldozer-proof” – the Ranger performs in the most difficult environments. The Ranger’s proven accuracy saves you both money and time. Take the guesswork out of your fiber usage – Ranger always dispenses the exact measured amount of fiber relative to the speed of paving. Its high-speed hydraulic motor and uniquely designed declumping system ensures an even stream of fiber into the pug mill of your paver. 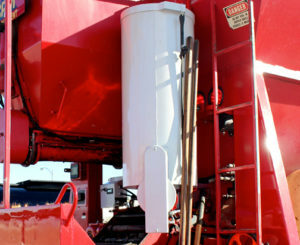 The Ranger fiber feeder allows you to choose variable feed rates per your job requirements. Extreme accuracy ensures that you always use the correct amount of fiber, saving you money. No more wasted material. 2 Brackets, 1 connection to a 12 VDC power source and 3 hydraulic hose connections are all it takes to get started. 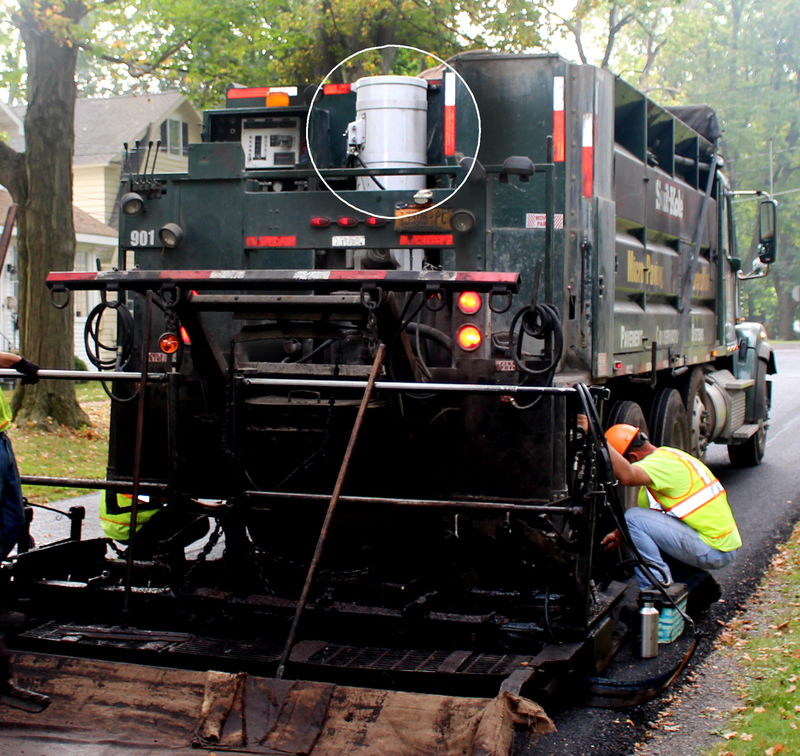 The Ranger installs on a variety of paving equipment. Our declumping technology ensures an even mixture. The Ranger eliminates the worry about poor distribution of fibers, which can cause wasted material and job slow-downs. The Ranger’s drum holds 80lbs. and has a window so operators can instantly recognize when it’s time to add fibers. An optional extension can be added to increase the drum’s capacity. The Ranger easily attaches to pavers and does not hinder the paving process. The Ranger is compact in size. The Ranger’s strength and durability means you’ll get a lifetime of value. Little maintenance is required – inspect, clean and lubricate regularly and your Ranger will provide years of reliable service. The Ranger’s control panel is simple and straightforward. With only a power switch and speed control knob (potentiometer), anyone can operate the Ranger. A digital display shows the speed of the auger motor which correlates to the feed rate of the fiber. The Ranger easily attaches to truck mounts and continuous pavers. Find out more about the world’s top performing fibers for the Ranger. For use with slurry seal and micro surfacing. 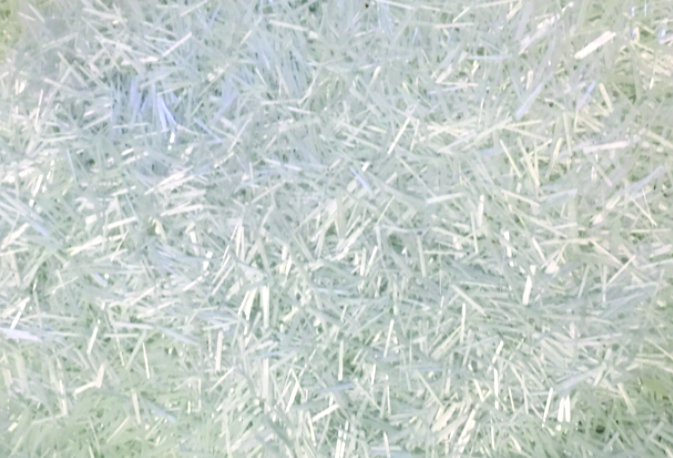 FORTA Surface-EXT® An alkali and acid-resistant glass fiber specifically designed to extend the life of slurry surfacing pavement applications.